All-IP is coming for all of us. Major providers are switching off their ISDN services throughout Europe, forcing managers of analog and ISDN PBX systems to find a solution for their customers. 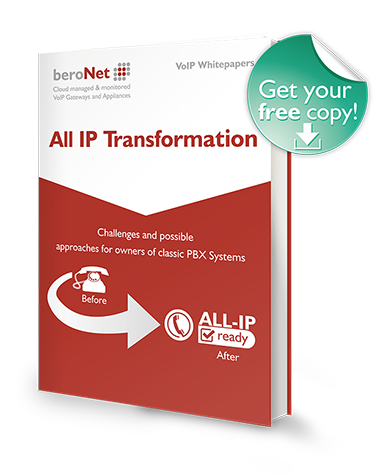 This white paper outlines each available solution to match any PBX system. Various ways to make an ISDN PBX "All-IP Ready"